The Supreme Court handed down judgment in Ilott v Mitson  UKSC 17 yesterday morning and allowed the charities’ appeal, restoring the decision of District Judge Million to award Heather Ilott a lump sum of £50,000 from her mother’s estate – and bringing to conclusion a decade of litigation. The deference to the decision of the judge at first instance and the expectation that appellate courts should be slow to interfere with the decision of the trial judge. The background to the case is a rather sad story of an estranged mother and daughter. The appellant, Heather Ilott, was Mrs Jackson’s only child. Heather’s father had sadly been killed in an accident at work about three months before her birth. Mrs Jackson had raised Heather on her own, but mother and daughter had become estranged when Heather had eloped in the night at the age of 17 with a man her mother did not approve of. The couple subsequently married and had five children together but, sadly, Mrs Jackson was never able to forgive her daughter. There had been three attempts at reconciliation over the years, each of which had failed. On her death, Mrs Jackson left her entire estate (valued at circa. £489,000) to charities, with whom she had had no particular connection in the course of her life, and made no provision at all for her daughter. Heather issued proceedings for reasonable provision from her mother’s estate under the provisions of the Inheritance (Provision for Family and Dependants) Act 1975. At first instance the district judge applied the familiar two stage approach to claims under the Act. The first hurdle for a claimant to surmount, on the test as applied by the district judge, is the question of whether or not the deceased, by their will or on intestacy, had failed to make reasonable financial provision for the claimant (a value judgment). If the claimant gets over that threshold and the court concludes that the deceased did fail to make reasonable provision, the second stage requires the court to exercise its discretion in determining what provision, if any, should be made for the claimant (a quantification exercise). With respect to the threshold question, the district judge concluded that Mrs Jackson had acted in an capricious and harsh way towards Heather, although he considered that both sides were responsible for the failure of the reconciliation attempts. The rejection by Mrs Jackson of her only child at the age of 17 and then maintained throughout her life had been unreasonable in the district judge’s view. Her failure to make any financial provision for her daughter, despite her daughter’s obviously needy circumstances and her wish for and attempts at reconciliation, had been unreasonable. As to the quantification exercise, the district judge rejected the quantification of the claim as put forward on Heather’s behalf – the budgets advanced for her put her needs at well in excess of the entire estate. He was further critical of the failure of those representing Heather to set out the effect of a capital award on her benefits. He rejected the submission for the charities that Heather, if she surmounted the threshold stage, should receive only a very modest sum to enable the appellant to pay for driving lessons in order to get back into work. He considered that Heather’s lack of expectation of any inheritance from her mother and her ability to live within her means justified a limited award. By the date of the trial, Heather was living with her husband in housing association accommodation. They were largely reliant on means tested state benefits, receiving tax credits and benefits of around £13,204 per year. The district judge made an award of £50,000, based on his own calculation. This figure was derived on the assumption that one half share of the tax credit award (totalling £8,112 per year for Heather and her husband) in the sum of £4,056 per year represented ‘an indicated amount of maintenance which the government accepts as being needed currently to provide the claimant with a reasonable, but basic, standard of living’. Extrapolating from the Duxbury calculations in the current volume of At a Glance: Essential Court Tables for Ancillary Relief, he deduced that a fund of about £69,200 would be required to provide a maintenance figure of £4,000 per annum. This sum was then further reduced on the grounds that the judge believed that Heather ought to be able to obtain some modest part time work, to produce a capitalised maintenance award of £50,000. He concluded by acknowledging that such figure has a ‘significant degree of approximation in it’. Heather appealed the district judge’s decision on quantum to the High Court. The respondent charities cross-appealed the judge’s decision on threshold. The charities were successful on the threshold issue before King, J and Heather appealed to the Court of Appeal, who allowed her appeal and remitted the matter back to the High Court for consideration of Heather’s appeal on quantum. Heather was again unsuccessful in the High Court before Parker, J who upheld the district judge’s decision on quantum. Thus it was that matter made its way to the Court of Appeal for the second occasion. The Court of Appeal allowed Heather’s appeal and substituted its own decision, awarding her capital of £143,000 to exercise the right to buy on her housing association property and the option to receive an additional capital lump sum of £20,000 (so that if it would otherwise prejudice her benefits she could take a lesser sum or instalments). Arden LJ, giving the lead judgment, concluded that there were two fundamental errors in the decision of the district judge that warranted setting his decision aside. The first was the district judge’s failure to give sufficient reasons in explaining precisely to what extent he had limited the award to reflect Heather’s lack of expectation and her ability to live within her means. The district judge ought to have explained what the award might otherwise have been so that Heather could consider whether or not his reductions were excessive (which might have given her a further ground for appeal). The second fundamental error, in view of the Court of Appeal, was the judge’s assumption that his award would affect Heather’s entitlement to state benefits without attempting to verify that assumption and to ascertain the effect of his award. State benefit entitlement was a matter of law, and not evidence, to be deduced from the relevant regulations. The criticism of the claimant for failing to produce such ‘evidence’ was not accepted. The judge should have asked for assistance from the parties if he was uncertain as to the consequences of his decision. There would be no penalty to Heather for living within her means. Existing means are not conclusive as to the appropriate level at which a claimant is entitled to be maintained (citing Re Watson  3 DCR 595). The lack of any expectation of benefit on Heather’s part should not be accorded much weight, on the facts of the case. The charities had no expectation either and had no connection with Mrs Jackson. Heather had been deprived of any expectation primarily because of the unreasonable, capricious and hard way in which Mrs Jackson had treated her. Equally, the fact of Heather’s estrangement from her mother should not significantly impact upon the award; it may be difficult to apportion fault and there was no suggestion that Heather had wanted the estrangement. The need to preserve the family’s benefit entitlements in fact justified a greater award. The provision of a fund sufficient to meet her housing needs would enable Heather to receive a capitalised sum and to keep her tax credits. The lesser sum awarded by the district judge (which would have disentitled Heather to Housing and Council Tax Benefit), resulted in little or no provision for her maintenance. Leave to appeal to the Supreme Court had been refused in relation to the Court of Appeal’s decision on threshold. The only aspect of the district judge’s decision that was open to the Supreme Court to review, therefore, was the issue of quantum and the question of whether or not the Court of Appeal should have interfered with the district judge’s decision on the value of the award to be made to Heather. Given that one can readily surmise that the costs of ten years of litigation would have long outstripped the value of the estate and given that Heather had no other assets other than the property, which I understand had, by the time of the Supreme Court hearing, already been purchased by exercising the right to buy (and thus she could not have been restored to the position that she was in when District Judge Million made his original award had no other resources from which to meet any order for costs), this was quite clearly an appeal that was about the bigger impact of the precedent set by the decision of the Court of Appeal rather than the merits of this particular case, as such. Permission to appeal to the Supreme Court had been granted on terms (which have not been published so far as I am aware) but one would imagine would have dealt with the eventuality that the appeal might succeed and recognised that Heather could not be returned to the position that she was in at the date of the original award, having purchased the property. In relation to the first suggested error identified by the Court of Appeal, the unanimous view (Lord Hughes giving judgment, with which the other Justices agreed) was that district judge did not err in taking into account the estrangement between the parties and Heather’s lack of expectation . In assessing what amounts to reasonable financial provision, a judge may have regard to the closeness of the relationship and the nature of the relationship may colour the provision to be made. The approach required by the Act was a single assessment of what reasonable financial provision should be made – there was no requirement to fix some hypothetical standard of provision and then to either add to it or discount from it for variable factors. Further, in relation to the second suggested error, the district judge had not failed to take account of the impact upon means tested benefits . Notwithstanding the impact upon means tested benefits, there was a real benefit to Heather in the award of £50,000, which would enable her to purchase household goods and fund other domestic expenditure such as replacing furniture and carpets without falling foul of the deprivation of capital rules pertaining to means tested benefits. The need for that expenditure had formed part of Heather’s case before the district judge and could properly be described as necessities for daily living, within the concept of maintenance . For my part, I find this aspect of the decision slightly difficult as, whatever the Supreme Court might say to the contrary, it does appear to me to necessitate a ‘spending spree’ which is difficult to square with the concept of maintenance as relieving income needs. Moreover (and having many years ago worked for local authorities on Housing and Council Tax Benefit appeals), the question of whether or not expenditure will be treated as ‘deliberate deprivation of capital’ for the purposes of means tested benefits is, to a degree, although there is of course case law on the point, down to the discretion of individual benefits assessors. Expenditure on white goods etc could not reasonably be said to be deliberate deprivation of capital, but expenditure on matters such as a holiday might be more debatable – I suppose in Heather’s case, she will be able to say that the Supreme Court says it is okay! Whilst the district judge justified his award by reference to the provision of capitalised maintenance, rather than expressly providing for domestic expenditure of that sort, the award could be used for this purpose so as to put the household on a much sounder footing without for long retaining capital over the threshold for means tested benefits . Interestingly, the Justices all appeared to consider that it might have been legitimate to have made no provision at all . The optional £20,000 proposed, appeared to fall foul of the deprivation of capital rules for means tested benefits and thus did not work on its own terms . I would observe here, that I am not sure that this is an entirely fair criticism. Whilst, it is probably right that means tested benefits would be affected by this award, the bigger point is that the award to purchase the house relieved Heather of the need to claim Housing Benefit so it would only be her Council Tax Benefit that would be affected. Plus she could have drawn on the £20,000 in precisely the same way that the Supreme Court suggested she could use the district judge’s original award. The Court of Appeal’s calculation of the £20,000, which I understand was not sought by those representing Heather, appeared to me to be erroneous and based upon a misreading of the Duxbury tables in At A Glance. The Court of Appeal had erroneously treated the charities as having to justify their position as beneficiaries. It had been wrong to treat Heather’s lack of expectation as a neutral factor on the basis that the charities equally had no expectation of benefit. It further was not necessary for the charities to justify a claim on the basis of need and the fact that they had no needs to plead did not mean that they were not prejudiced by the award, as the Court of Appeal had suggested . The most difficult aspects of the decision of the Court of Appeal – that dependence on means tested benefits might increase a claimant’s needs, as disability is likely to do, and the failure to give due weight to the estrangement between Heather and her mother and her mother’s testamentary wishes – were further thought to be erroneous [45, 46]. 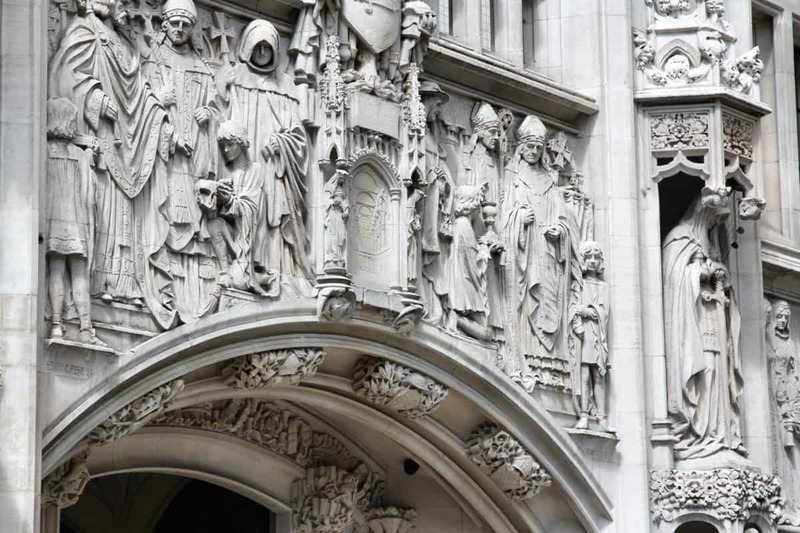 The Court of Appeal was in error in suggesting that testamentary wishes should not be taken into account when carrying out the statutory exercise. It is not the case that once there is a qualified claimant and a demonstrated need for maintenance, the testator’s wishes cease to be of any weight. They may of course be overridden, but they are part of the circumstances of the case and fall to be assessed in the round together with all other relevant factors . The relevant qualifying relationship plus financial need may not be enough to justify an award – in a normal case, something more will be required. Whilst moral obligations are not a requirement for a claim to succeed, the presence or absence of such obligations will often be at the heart of whether or not a claim should succeed  – . The claimant’s needs do not necessarily represent the measure of the order that should be made. Sometimes the competing claims of others will preclude the claimant’s needs being met in full. In some cases, the relationship between the claimant and the deceased may be relevant as a factor that justifies meeting all of the claimant’s needs to the maximum the estate can afford or alternatively, in other cases, may justify a lesser award meeting only part of the claimant’s needs, for example where the relationship was distant or conduct is a factor justifying a lower award . The orthodox approach to maintenance is restored – maintenance does not extend to any or everything which it would be desirable for the claimant to have. It is provision to meet the everyday expenses of living (Browne-Wilkinson J’s comments in Re Dennis, deceased  2 All ER 140 approved: ‘maintenance’ connotes only payments which, directly or indirectly, enable the applicant in the future to discharge the cost of his daily living at whatever standard of living is appropriate to him.’) . Maintenance is about providing income and not capital, although it will often be appropriate for income to be provided by way of a lump sum calculated by reference to the Duxbury tables. Lord Hughes’ comments on the approach to be taken to housing provision are perhaps the most important part of the judgment. Housing provision might be maintenance in some cases, but if provision for housing is to be made, it is more likely to be provided for by way of a life interest rather than a capital sum (approving the approach taken by Munby J in Re Myers  EWHC 1944 (Fam)) . In many cases, it will be unnecessary to apply the two-stage analysis that has become conventional in these cases. The Act requires a broad brush approach from the judge to very variable personal and family circumstances. There can be nothing wrong, in such cases, with the judge simply setting out the facts as he finds them and then addressing both questions arising under the Act without repeating the Section 3 criteria. Only rarely will first instance decisions be interfered with on appeal. On order made by a judge will only be upset if there is some error of principle or in law. It is to ‘kill the parties with kindness’ to allow marginal appeals in cases that are individual value judgments, as those under the Act should be . Lady Hale in her supplementary judgment  suggests that the district judge might legitimately have made a range of orders including (1) making no provision, alternatively (2) providing for the property to be purchased for Heather, as per the Court of Appeal decision (Lady Hale thought it might be more reasonable for this to be on the basis of a life interest and then for the capital to revert to the estate), or alternatively (3) making provision, as per the order he made, for a lump sum of capitalised maintenance. Whilst she considered that that the best choices were between either no order or the acquisition of the property (starkly different outcomes! ), nonetheless the district judge’s decision should not be disturbed. The perils of over-pitching your case: The Supreme Court Justices appeared to share the view of the district judge that the very ambitious way in which the claimant’s case had been presented at first instance had not been helpful. The various schedules and calculations proposed for the claimant exceeded the value of the estate. From the perspective of running a case for a claimant, particularly in a case of this nature featuring an adult entitled to provision for maintenance only, running an unattractively ambitious and over inflated case may result in a situation where the ‘baby is thrown out with the bathwater’ and a judge ends up disregarding all of the budgets and schedules prepared and making an order of their own devising, which might be less generous than might have been achieved had the claimant pitched a more modest proposal. Something more? The aspect of this decision most likely to vex practitioners and future courts is the search for the ‘something more’ that is required over and above the necessary relationship and proven financial need – perhaps, for example, disability, moral claims (e.g. the child who has made personal sacrifice to work for the family business or care for a parent), or where a parent has had a clear intention to provide for a child which has failed for some reason (e.g. non-compliance with the formalities for a Will). In Ilott, it appears to have been Mrs Jackson’s unreasonable treatment of her daughter that supplied the ‘something more’. Income provision, not capital: Whilst Duxbury funds for income provision will continue to be commonplace, outright awards for housing provision will not. In many cases where housing need is a factor, a clean break will be desirable and the prospect of establishing a trust may be unwelcome to both sides. In such cases, if there is a risk that neither side will be happy with this outcome at trial, the parties would be well advised to give serious thought to exploring alternative solutions through mediation. In a case that I was recently instructed in, the perceived risk of interference and disagreement over the administration of a trust, if property were to be settled on a life interest basis, were resolved by providing for a housing fund to enable a property to be purchased for the claimant with a charge back to the beneficiaries of the estate. Think long and hard before appealing: Only very rarely will the decision of a first instance judge be overturned on appeal. Notwithstanding the fact that some aspects of the District Judge’s reasoning might be thought to have been imperfect or insufficiently explained, that was not sufficient to allow the Court of Appeal to interfere on appeal. Hale’s comments in particular demonstrate the very broad range of outcomes that a judge may legitimately come up with at trial. Early mediation: Regrettably, one of the main take away points from the Ilott saga is that the outcome of a claim under the Inheritance (Provision for Family and Dependants) Act 1975 is very difficult to predict with any degree of certainty. In a great many cases, a mediated solution that all parties can just about live with will be a better outcome than the costs and uncertainty of trial. This entry was posted in Inheritance Act claims. Bookmark the permalink.